Ron Cooper, founder of Del Maguey, LTD. CO, is still going strong with his premium collection of rare, unblended Mezcals made by individual family producers in remote villages scattered throughout the state of Oaxaca, Mexico. A Mezcal veteran of 12 years, Ron has returned with a special release developed exclusively for Jonathan Goldstein, owner of Park Avenue Liquor of New York, NY. This began with Chichicapa Clasico Mezcal from Ron’s Chichicapa producer Faustino Garcia Vasquez, which was stored in glass for almost 12 years. It was then cask finished for 100 days in a Chalufour – medium toast barrel that previously held a Napa Valley, Stags Leap Appellation, Cabernet Sauvignon for less than one year. Voila! The result is a special edition treasure, 100 bottles of Chichicapa Cask Finish due to be released at the end of March or early April of 2007. The price is estimated at $315.00 per bottle for this rare and exclusive elixir noted as Del Maguey’s 12 Year Anniversary Edition. Along with working on several other surprises for 2007, Ron is hoping to employ a national sales/education team, and increase production to stabilize inventories in Mexico and the United States. By increasing production, Del Maguey will get closer to meeting the Palenquero’s desired potential, enabling new expansion into the Asia Pacific region. 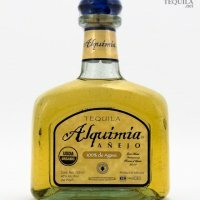 There is currently an illegal embargo on two of Del Maguey’s current Mezcal brands, Crema and Pechuga, by Mexican Bureaucracies COMERCAM (Regulatory Council for Mezcal) and DGN (Directorate General of the Normas) that Ron hopes to put to rest soon. Del Maguey’s additional imported brand of premium Mezcal from Los Danzantes is experiencing large success and can be found in liquor stores throughout the US. Ron continues his passion for Mezcal and the arts, and will join a group of International artists and friends to Alexandria, Egypt, to lead workshops and participate in the third bi-annual Art Exibition at the Great Library, with the basis “The Vegetal Nature of Books”, by Italian writer Umberto Eco.